RALEIGH, N.C.--(BUSINESS WIRE)--CE Rental, Inc. (CE Rental), headquartered in Raleigh, NC, announced the recapitalization of Liberty Party Rental in Nashville, TN. For the past 35 years Liberty Party Rental has built an award-winning reputation for exceptional customer service featuring a veteran team with over 150 years of collective special events industry experience. 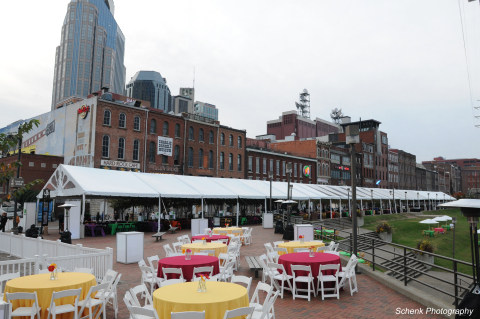 As the market leader, Liberty is known for introducing innovative new rental products and offering an extensive inventory of china, tables, chairs, tents, linens, dance floors, bars, catering equipment, and much more. “We are enthusiastic about the addition of Liberty Party Rental to the CE Rental family. Their growth over the past three plus decades can be directly attributed to an unwavering dedication to customer service and providing only the highest quality rental inventory to their loyal customer base,” said James Auerbach, Senior Vice President at CE Rental. “Geographically Liberty is the perfect complement to partner with our existing event rental locations in North Carolina, South Carolina, and Virginia,” Auerbach added. “The addition of Liberty Party Rental continues CE Rental’s growth throughout the Southeast. By expanding into Tennessee the CE network of affiliated locations will have the increased capacity to service all customers and partners in the region,” said Brent Paris, Managing Partner at Dubin Clark. 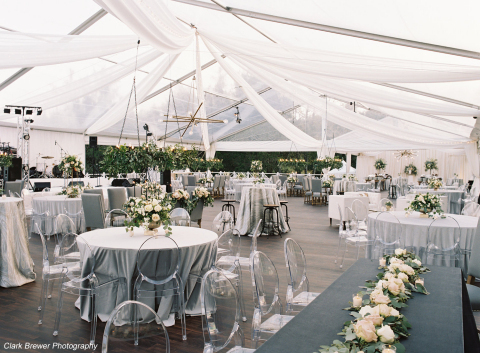 About CE Rental, Inc.: CE Rental, founded in 1952 and headquartered in Raleigh, North Carolina, is an award-winning special event rental company that provides a wide variety of event rental equipment including linens, fine china, flatware, dinnerware, tents, tables, chairs and more. 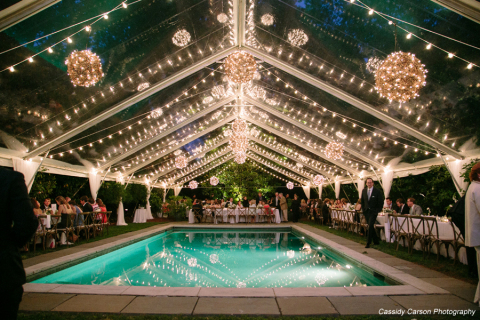 Since being acquired by Dubin Clark & Company in February 2017, CE Rental expanded its geographic footprint and product offering through the acquisitions of Skyline Tent Company (Charlottesville, VA and Charleston, SC), Capital Party Rentals (Dulles, VA), Festive Fare Rentals (Charlottesville, VA) and locations in Raleigh and Charlotte, NC. Please visit www.cerental.com for more information. Dubin Clark & Company, Inc. is a private investment firm that has a 34 year history of investing in middle-market buyouts and building businesses in partnership with the managements of their portfolio companies. Dubin Clark has a national reputation for helping successful middle-market companies reach new levels of sales and earnings. Please visit www.dubinclark.com for more information and contact Brent Paris at paris@dubinclark.com for more details on partnership opportunities.